In recent years the Academy Awards has increasingly become an uncomfortable focal point for the never ending debate about Hollywood diversity. 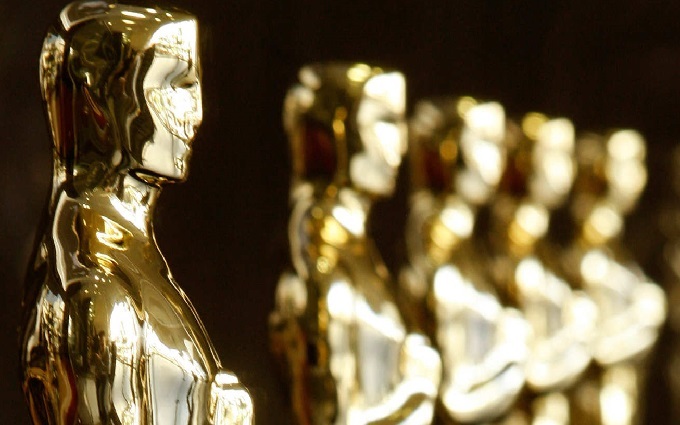 The Oscar nominations voted for by the 6000 strong Academy of Motion Picture Arts and Science, in particular the major acting awards, remain the most iconic symbols of success and recognition. The absence of any non-white acting nominees among this year’s 20 acting nominations has led to a growing list of major stars calling for a boycott of the ceremony. Even Cheryl Boone Isaacs the Academy president claimed to be “heartbroken and frustrated” by the lack of nominations diversity. As the first African American to serve as Academy President, and only the third woman to hold the position, Boone Isaacs was quick to call for urgent changes to the academy membership. Many commentators have likewise pointed to the fact that those that vote for the Oscars are overwhelmingly white and male as a possible explanation for the apparent bias in nominations. As recently as 2012 it was claimed that over 90% of academy voters are white and over 70% are male. The blunt question remains though, are the Oscars actually racist? To begin with, it’s important to acknowledge that the Oscars have never been and won’t ever become a fair and impartial reflection of talent, ability or achievement. In essence beneath the distracting glitz and glamour the Oscars is nothing more than a self congratulatory popularity contest for an industry shameless fueled by petty insider politics, nepotism, ego and commercial mass appeal. It’s a circus not a science fair. Getting nominated and actually wining a statue is innately determined by a whole host of utterly subjective criteria and industry bias most of which has absolutely nothing to do with personal prejudices. 1. You need to be playing a real person, or at the very least be telling a story inspired by actual events. This ensures the film is undeniably ‘important’ not just entertaining. 2. It has to be a Drama. Comedy, Romantic or Musical dramas are acceptable variations, but only if someone actually cries at some point. 3. You need to be facing and overcoming adversity. Ideally this includes at least one of the following: terminal illness,mental health problems or racial, political and sexual prejudices. 4. Dramatic physical transformations always help. Get really thin, get fat or just slap on a fake nose, a wig and some ugly makeup. Sacrifice your movie star good looks and you’re much more likely to go home with a reward. 5. Accents and speech impediments also help constantly remind people how much you’re really acting this time. 6. Work with a widely respected director and if possible at least one celebrated veteran actor likely to sneak yet another supporting nomination for one of the many contenders they’re in this year. 7. Make sure it’s a Big Studio film. This ensures everyone’s seen it and they make a big expensive fuss about campaigning on your behalf. 8. Just keep getting nominated. Remember each time you get snubbed you’re one step closer to an eventual token win for another performance. In truth the Oscars is just as prejudiced towards different genres of film as it is towards any other factor. Only eight science fiction films have ever been nominated for best film. The unspoken rule being that stories based on things that actually happen and set in the ‘real world’ matter more than things we completely make up. Likewise dramatic performances full of tears and impassioned speeches always trump fluffy feelgood entertainment. Oscar prestige can obviously only be given to truly ‘deserving’ efforts. The bottom line is you’re infinitely more likely to win an Oscar if you’re an already popular household name playing the first blind trans-gendered mountaineer to climb Everest during world war 2. If Meryl Streep plays your mum, Scorsese is directing and the Weinstein Co are distributing then you might as well start investing heavily in statue polish. Like every other artistic award show the Oscars is just an arbitrary celebration of popular talent. Leonardo Di Caprio is undeniably a gifted performer and his work in The Revenant is the result of considerable skill and obvious determined sacrifice. But is it somehow objectively better that the work of every single other actor in any of the many thousands of films released around the world in the past 12 months? Who can say. But Di Caprio will be this year’s best actor winner because everyone agrees it’s ‘his time’. After so many nominations it’s simply finally time to give the handsome global superstar the ultimate pat on the back in thanks for his many credibly serious blockbuster performances. Looking at this year’s specific line up of nominees it’s very evident that they certainly do deserve to be there on merit alone. Even by the usual standards it’s an immensely competitive year with a host of the finest stars turning in brilliant performances in clearly Oscar friendly roles. Likewise those supposedly snubbed actually mostly have fairly evident reasons to be omitted. Michael B. Jordan was never going to achieve a best actor nomination for an undoubtedly accomplished performance in Creed because voters also mostly remember him from the awful Fantastic 4 reboot. In contrast Tom Hardy received a supporting nomination for The Revenant, in large part due to the slew of star turns he’s delivered elsewhere this year (Mad Max/Legend). Oscar voting is rarely really just about a single performance, it’s almost always about your body of work, collected efforts and aggregate star power. Perhaps most interestingly, Will Smith ‘missed out’ on being Oscar nominated for a third time for Concussion in truth most likely because his ‘Hollywood stock’ has fallen sharply after a string of critically panned and commercially disappointing films. It’s hard to bounce back from sweeping the Razzies with After Earth to once again be lauded as one of the five finest actors on earth. It’s particularly worth noting that the two times Smith lost out once nominated it was actually to Denzel Washington and Forrest Whitaker. Idris Elba might feel the most legitimately aggrieved to miss out this year for his powerful turn in Beasts Of No Nation, but the fact is it’s simply harder to be nominated for playing someone evil. Character likability is a near universal common factor among best actor and actress nominees. So Matt Damon’s cheerful space survivor was always likely to edge out a brutal warlord abusing child soldiers in a popularity contest. Straight Outta Compton missed out on being more widely recognized, but because it’s a niche music biopic that lacked a singular breakout performance from an ensemble cast of impressive young unknowns. It only revived a ‘token’ nod for best writing, but that would have been the exact same outcome for a surprisingly well made hockey or golf biopic. That’s precisely how the awards season typically acknowledges surprise success stories based around specific interests. Of course it’s possible to endlessly debate the exact merits of those included or omitted, as in any other year, but suggesting the Oscars are intrinsically racially biased is a bigger and far more contentious argument. Obviously looking back at the 88 year history of the Oscars it’s shamefully easy to point to surprisingly recent times when blatant prejudices existed. Having the same ugly influence on Hollywood award ceremonies as it did in schools, workplaces and almost all aspects of western societies. Thankfully that is not the world we live in for the most part today and the Oscars does reflect and even at times lead that change. In the past 15 years 9 acting awards have been won by black performers, accompanied by numerous further nominations. Three times more than in the previous 73 year history of the awards combined. In fact just two years ago the Academy was busy patting themselves on the back for rightly celebrating 12 Years A Slave with a huge sweep of nominations and multiple wins, widely hailed as yet another ‘watershed moment’. Audiences, critics and the multi-billion dollar global entertainment industry which serves them is arguably massively less affected today by racial, political or sexual prejudice than at any time in human history. So a precised lack of specific diversity in a handful of categories at one awards ceremony in any particular year shouldn’t be automatically taken as a sign that past progress has somehow been lost. Oscar acting nominations are truly dominated by a tiny number of performers who have the consistent star power, credible performances and studio backing to achieve a very specific form of additional recognition. It has never been the only yardstick of success and can’t possibly be seen to give any kind of overall reflection of the attitudes within the entire global entertainment industry. When Leonardo Di Caprio and Meryl Streep alone have 10 nominations between them in the past ten years it evidently leaves little room to ‘recognise’ other talents. It’s also important to remember that there are many definitions of diversity, aside from just simple ‘black and white’ distinctions. This year’s nominations significantly recognize landmark LGBT films like Carol and The Danish Girl. Representing the continued seismic shifts in global attitudes toward the LGBT community. Likewise the nods for powerful journalist drama Spotlight gives meaningful validation and an even louder voice for all victims of sexual abuse. It’s dangerous to look exclusively at racial distinctions as the only measure of diversity and also evidently misguided to automatically label anyone who isn’t African American as being just ‘white’. A point articulated very well by likely best director winner Alejandro G. Inarritu. While Academy membership reform and the fierce public debate about legitimate wider issues of opportunity and institutionalized bias can’t possibly be a bad thing, it’s also a very clear mistake to expect Oscar nominations to somehow automatically conform every year to a preconceived set of demographics that merely symbolize fairness. If next year all 10 best actor and actress nominees happen to be African American it obviously won’t mean that white performers are suddenly an ignored minority or that the entire global entertainment industry is finally free from all prejudices. So in conclusion are the Oscars Racist? No, but that’s not the only question we should be asking or the only answer that matters.